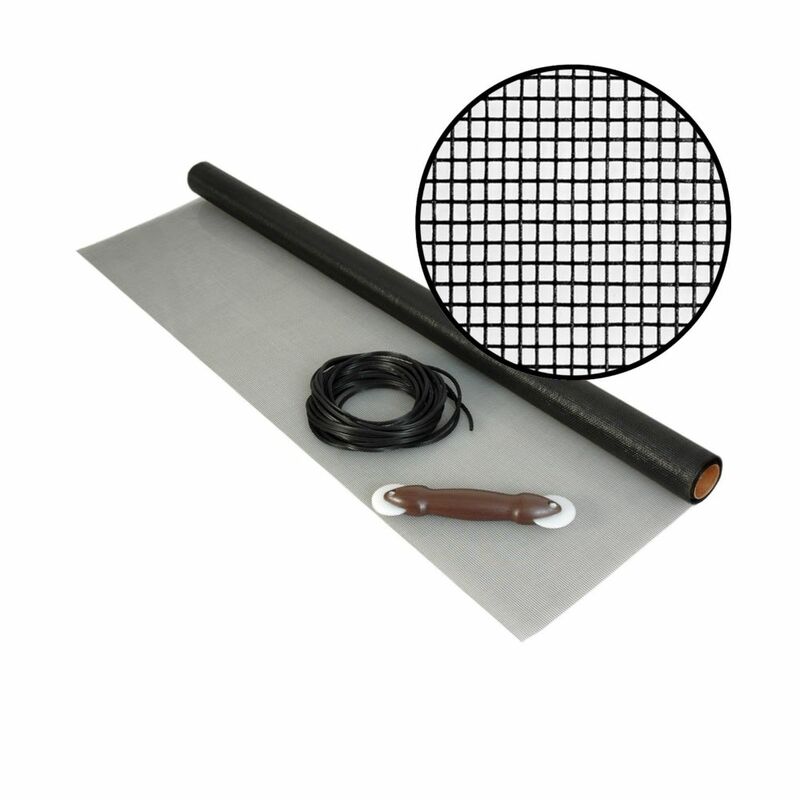 36-inch x 25 ft. fibreglass Charcoal Screen Kit This re-screening kit comes with 25 ft. of charcoal fibreglass screening material, 60 ft. of spline, and a spline roller. Designed for the do-it-yourselfer, this kit contains enough screening material to re-screen several windows. Easy to install; instructions are included. 36-inch x 25 ft. fibreglass Charcoal Screen Kit is rated 4.4 out of 5 by 45. Rated 5 out of 5 by Homeseller from Good quality and was easy to use. My screens... Good quality and was easy to use. My screens look great! Rated 5 out of 5 by Cosmos from After a couple of tries, the measured screen finally fit... After a couple of tries, the measured screen finally fit the bottom portion of my screen door. Rated 5 out of 5 by Raidersfan from This was easy to install. The tool that came with it worked great. The screen material was good q... This was easy to install. The tool that came with it worked great. The screen material was good quality. Would buy it again! Rated 4 out of 5 by Sunny from Everything works It is good, I have fixed my screen and the screen looks great. Rated 5 out of 5 by JamesTKirk from Everything included Good kit does the job as needed. No complaints with the quality of the supplied material. Rated 3 out of 5 by CW from Phifer fiberglass screen kit was perfect...just what I needed. Phifer fiberglass screen kit was perfect...just what I needed. yes this can be used for a door however do not use for railing on a balcony . Phifer offers a tuffscreen that would be more suitable for balcony railing and of course it will depend on how it is attached to the railing. what size is the spline? .160 or .175?